Last year Government Technology published an article describing how the state of Colorado has turned to a process they call “mini-RFP’s” to streamline and expedite procurement in their IT category. The author Jessica Mulholland reports the state performed a prequalification of vendors and awarded multiple contracts to address a “specific set of issues and implementations”. This select group of vendors operating under pre-negotiated legal terms are solicited when new work comes up. The lowest bidder is awarded leveraging their prenegotiated terms and conditions. This is a concept that I have seen quite a few times before. Many private organisations operate in this manner. Essentially awarding MSA’s that include no rates or commercial terms, just legal terms. It should be noted that the reason this is more expeditious is because it streamlines the contracting portion of the procurement process. This isn’t a shortcut to procurement, you still need a scope of work, you still need a bid period, and you still need analysis. The time saved is the time with legal. Prequalification of suppliers isn’t anything new, but it is a unique approach in public procurement. I’m no expert on the legality of this as a government practice, but I will address this from a private business perspective. Perhaps this is a nuance of the public sector and possibly the reason why the state of Colorado can have a closed bid, but in private business there is simply no good reason to have an MSA without pre-negotiated rates. Nonetheless, I have seen this quite a few times. If you are going to go so far as to negotiate legal terms, locking in rates and commercial terms should be a no-brainer. If you plan to add a pre-qualification process to your organisation, consider keeping the process simple and straight-forward. It should not take more than a couple of weeks to complete the process. Anything more than that and you may find that your process becomes an obstacle for inclusion. Be sure to have a large enough pool to allow for multiple projects to occur at the same time without depleting your bench. There is nothing worse than having an emergency project when all of your pre-qualified vendors are at capacity and you have no one left to award. Your pool of pre-qualified suppliers should be as diverse as the projects you contract. When I talk of diversity here, I’m not speaking of minority owned businesses. That is important too, but more than that you need to make sure your pool of vendors has large firms for the big projects as well as small firms for the small projects. Don’t just include all the big guys or you may find you have no one at all. If you are going to establish a pool of pre-qualified suppliers it’s important to score each performance. Develop Key Performance Indicators (KPI) to evaluate how the suppliers performed and make sure to collect a report for each engagement. This will give you actionable data to evaluate the performance of each supplier. Grading the suppliers on each project is essential, but when you collect and aggregate that data across a year, now you have powerful data. Anyone can have a bad project, but with a consolidated view of a vendors performance over a year, you can address specific problems, identify weaknesses, and generally grade each supplier objectively. With this data, you can elevate suppliers that perform well and downgrade those who perform poorly. With your performance data in hand, you should meet with your suppliers annually and share the results of your scoring. This may be a difficult conversation, but if you are basing your comments on facts, it will be easier. In addition to reviewing existing suppliers, this is the time to look outside of your pool to identify new or up-and-coming suppliers to add. You should also evaluate the state of your organisation to right-size your pool. Above all else, don’t let agreement expire. 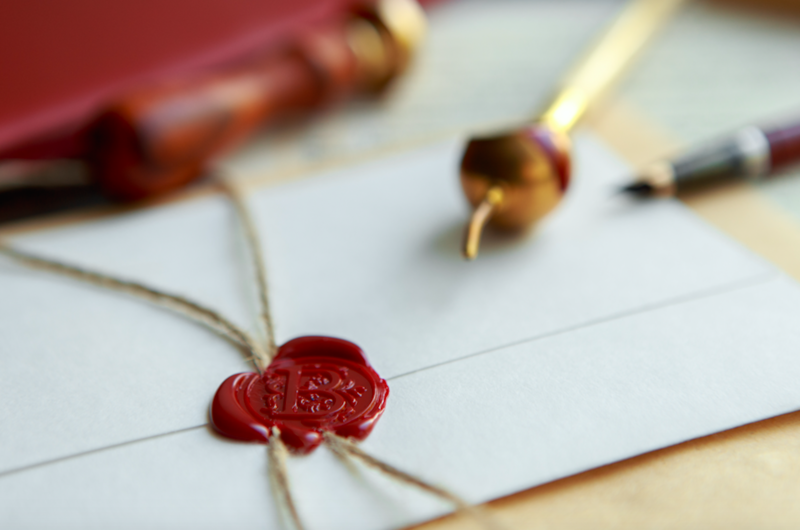 Track the end of all agreements and create reminders on your calendar to ensure you are proactively renewing, terminating, or renegotiating agreements before they expire. Establishing a pool of preferred or pre-qualified suppliers is a great idea as long as you are actively managing your supplier pool. Keep on top of your contracts and you will soon see the fruits of your labor. Do you have prenegotiated or prequalified Suppliers in your organisation? If so, do you follow these recommendations? Are there any best practices you recommend? Tell me your stories. This article was originally published on Luis Gile’s website. Check out more of his content here. 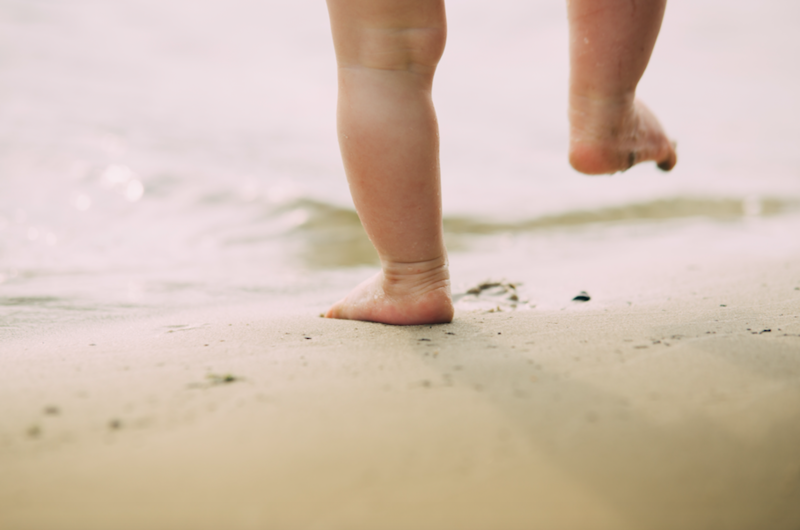 Sign up for today’s webinar: Clean Up Your Act! Category Management AI-Style. Blockchain belongs to the (long?) list of buzzwords that are part of the growing hype surrounding new technology. Many people equate blockchain with Bitcoin, the first relatively mainstream cryptocurrency. For some, this association makes blockchain seem like something for hackers and illegal commerce, and far removed from typical B2B or B2C applications. It is decentralised (peer-to-peer), which means there is no authority deciding the rules or with a personal interest in manipulating data in one way or another. Data in the blockchain is therefore immutable and impartial. It is shared among parties (publicly or privately) and cannot be changed by anyone. Therefore, blockchain is a form of digital trust. More trust makes doing business easier, streamlines many processes, and creates transparency. 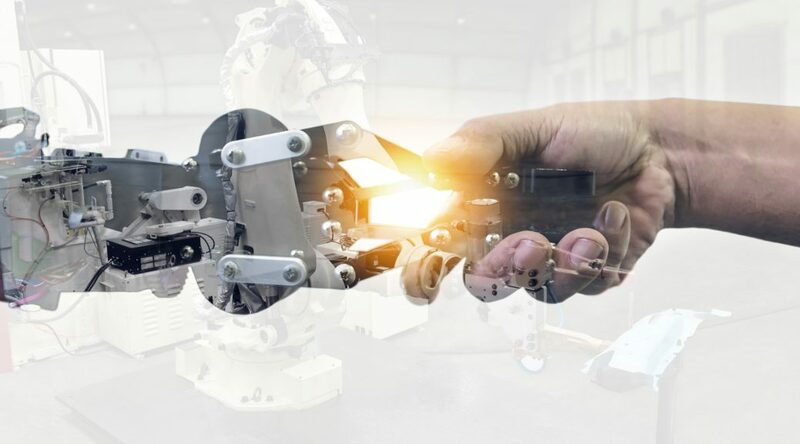 Furthermore, and more importantly, it means that blockchain can serve as the backbone for new types of cooperation between machines (M2M) and between humans (H2H) that were, until now, limited by the cost of building trust or by a lack of trust altogether. Beyond making transactions more secure and efficient by removing intermediaries, blockchain technology can also increase transparency in the supply chain. At each step of the value chain, from the extraction of raw materials to the customer, blockchain technology can store and record every transaction and exchange of ownership. This would provide companies with a complete, trustworthy and traceable record that would facilitate and simplify the process of due diligence, which companies need to complete in order to ensure compliance with rules and regulations restricting illegal or unethical corporate activities (child labor, modern slavery, conflict minerals, product traceability, fraud, counterfeit, etc.). Not only would this streamline internal processes (increasing efficiency and reducing costs), it would also establish more trust between companies, suppliers, regulatory bodies and the consumer. This is why many companies with a complex supply chain in industries with strict regulations and requirements related to product traceability (pharmaceutical, food & beverage, etc.) are already testing blockchain technology for that purpose. 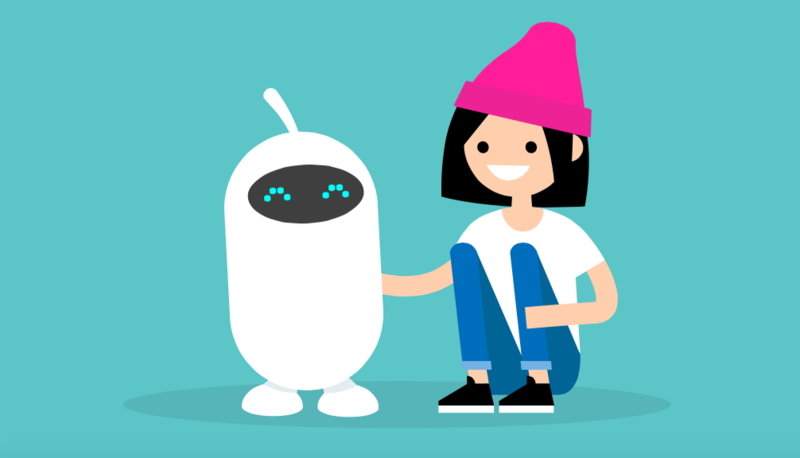 Blockchain can also enhance and improve Human-to-Human (H2H) cooperation because collaboration between people also relies on trust. This is particularly true when partners do not know each other, which is especially common in new business models (platform/ gig economy). Reputation is nothing more than the result of past transactions. As noted earlier, the blockchain logs all transactions securely and transparently. So, the blockchain makes it easy to measure and know someone’s reputation. Blockchain therefore makes it easier to do business with new partners by reducing the costs and risk which are often associated with new business relationships. Traditionally, a fear of risk and unexpected costs has been behind the rationale to aggregate spend towards a limited number of suppliers and/or to favor (consciously or unconsciously) incumbents. The use of blockchain can allow procurement organizations to revisit their category strategies! Execute automated programs (called smart contracts). Blockchain is the ideal infrastructure for machine-based activities that the Internet of Things (IoT) has been lacking. It opens the door to new “apps” that will run precisely as programmed. An immediate area of application that is relevant for Procurement is Supply Chain Management. For example, companies can track the movements of a container at all times. Whenever it reaches specific points, the blockchain will record the activity and smart contracts will execute automated actions (e.g. registration for customs, payments,…). The same concept also extends to upstream/downstream activities like inventory tracking/management or ordering/requisitioning/replenishing. When considering the Internet of Things (IoT) + Blockchain and adding Artificial Intelligence (AI) to the landscape, a bigger picture emerges that covers data, insights, and actionable intelligence: the core of business activities! When combined, these technologies represent an opportunity to address the “big data” challenge summed up in the “6 Vs”: Value, Volume, Variety, Velocity, Veracity, and Variability. IoT = Provides the ability to collect more information (Volume) and in a real-time manner (Velocity & Variability). This is especially true when monitoring physical supply chains (e.g., sensors and geolocation for containers) and changing demand (e.g., sensors in machines for predictive maintenance). It is the foundation that makes gathering data possible and keeps the Big Data engine running and improving (e.g., machine learning). Big Data = Makes it possible to consolidate, aggregate, and slice more data coming from multiple sources (Variety), both internal (e.g., ERPs, or other information systems) and external (e.g., IoT sensors, third party data providers…). Blockchain = Increases trust and reliability (Veracity) in the data collected and stored which is a critical factor in trusting the insights and decisions derived from that data. It also creates a “data backbone” that can be utilized to create interoperability (internally and externally) opening the door to further automation and “interconnections” between physical and financial supply chains. AI = Exhibits tremendous computational capacity to analyze massive sets of data to build new knowledge (Value) and continuously learn and improve from new data. Blockchain represents an important for the business world. Procurement organisations cannot afford to ignore it because it has the potential to open doors to further improvements from streamlining paper-based processes to enhancing cooperation and developing new strategies and supporting new operating/business models. Despite the potential benefits, however, organisations should still make an informed decision about testing blockchain bfore rushing in. Blockchain is still a relatively new technology, and in addition to understanding the potential it holds, procurement organizations also need to understand the limitations and risks, which we will cover in our next article. Stay tuned! 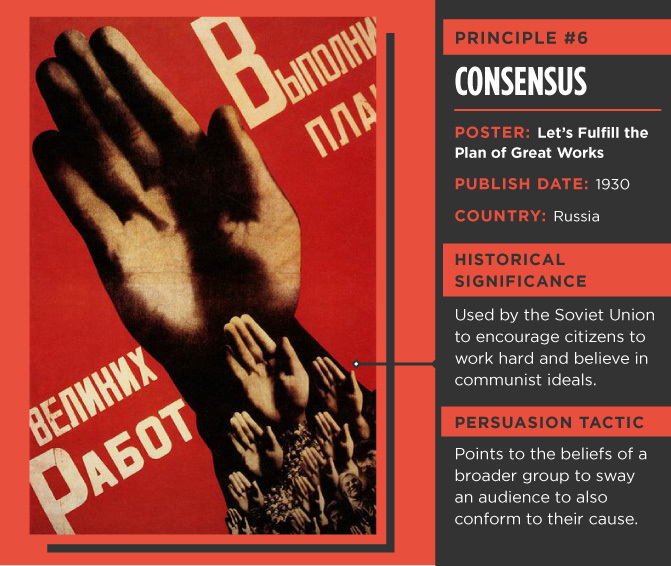 Learn how to persuade your colleagues and suppliers with 6 tips from 20th-century propaganda masters. Guest post from Invaluable.com. “Make Great Strides in Studying Daqing, Strive to Make New Contributions in Agriculture.” Original vintage Chinese propaganda poster, via Antikbar. 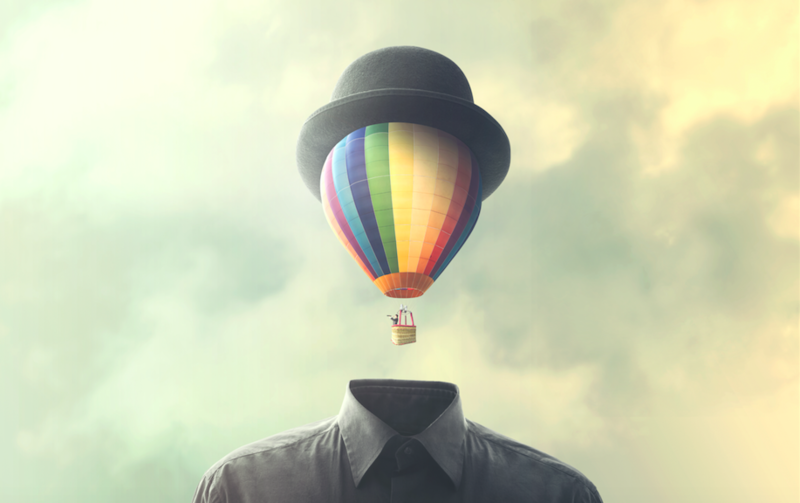 Since their introduction in 1984, Dr. Robert Cialdini’s six principles of persuasion have become the framework for understanding the science of influence. Each principle is distinct and outlines different methods for effective persuasion. Mastering the art of persuasion has become a major “soft skill” in the modern corporate world. The ability to influence others is key to developing strong relationships with suppliers, employees and end-users. Persuasion can help to convince others that we are credible, trustworthy leaders worth following and allows us to manipulate the psychological processes of others to our benefit to achieve better results. In the procurement profession specifically, strong persuasion skills can help to convince your organisation to be more strategic in managing money and can also be a key factor in your fight to minimise maverick spend. Before the rise of the social media influencer, advertising and propaganda posters were some of the most powerful persuasion tools available. Propaganda posters have been used for decades to inspire, educate, and galvanize the public. 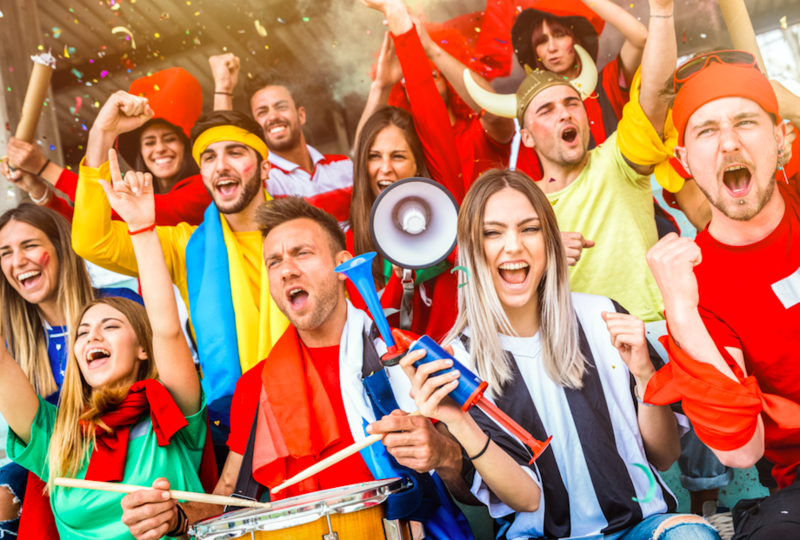 Whether you are selling a product, a war, or an idea, advertising can be a powerful tool to inform and persuade your audience. Propaganda posters from the 19th and 20th centuries addressed topics ranging from patriotism to healthcare to feminism. 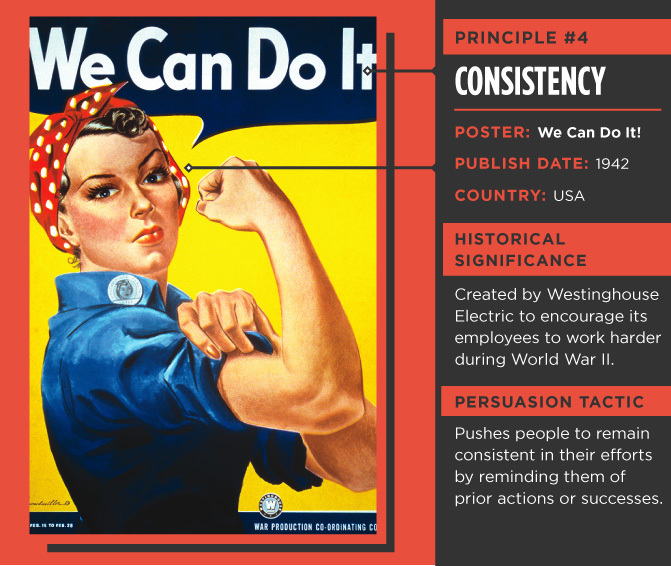 This article, originally from Invaluable, takes Dr. Cialdini’s six principles of persuasion and applies them to famous propaganda posters used throughout history to wield influence and power over their audiences. With their striking imagery and bold messages, these posters are superb examples of each principle and perfectly illustrate the mechanics behind persuasion. The first principle, reciprocity, is based on the idea that people often feel obliged to match or repay the behaviors and gifts they receive from others. When using the principle of reciprocity for persuasion, look for opportunities to be the first to give, and make your token unexpected and personal whenever possible. This tactic facilitates a relationship in which the recipient feels appreciative of your contributions and is likely to be more open to the message you share or the favor you ask for. The propaganda poster “Remember Your First Thrill of American Liberty” is an example of reciprocity in action. 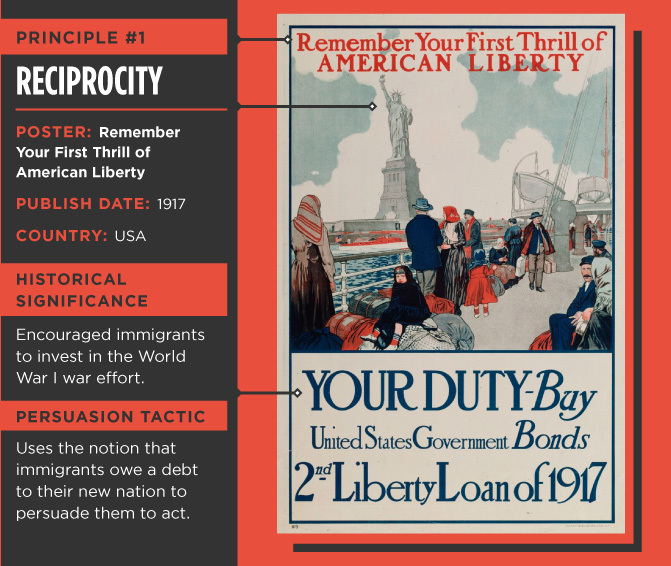 This poster was created by the Food and Drug Administration in 1917 to encourage immigrants to the United States to invest in the war effort by purchasing Liberty Bonds, which were a crucial source of funding for the war effort. By highlighting the benefits and opportunities that the United States had given to immigrants, the poster called upon its audience to invest in the country’s war effort in return. The poster also strategically included the Statue of Liberty as a metaphor for the opportunities available in the United States and to remind immigrants of the emotional experience of arriving in the U.S. for the first time. The artist’s powerful illustrations and the poster’s authoritative call-to-action prompted Americans to recall their debt to their country, which ultimately proved persuasive in raising money for the war effort. This poster remains a powerful example of the way reciprocity persuades us to act. The second principle of persuasion, scarcity, refers to the idea that when people have less of something, they want it more. Scarcity speaks to our human nature to place greater value on things that are less readily available. To use this principle, incite people to act, agree, or buy your product by demonstrating how they can benefit from it, what’s unique about your offering, and what they could potentially lose out on. In the poster “Doctors are Scarce, Learn First Aid and Home Nursing,” the artist used the scarcity principle to promote basic at-home care. By making it clear that good medical care would be hard to come by, the poster instilled fear and communicated the importance of individuals learning to manage their own minor health concerns. 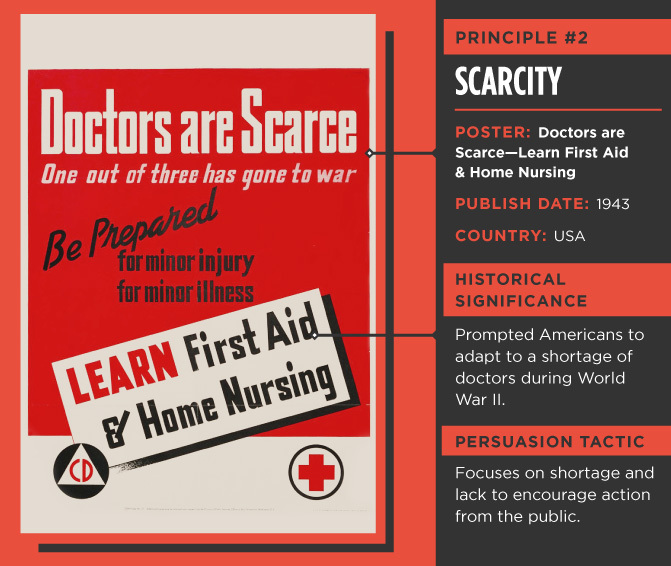 The poster was created to communicate people’s need to learn to handle their own injuries and illnesses since many doctors were oversees fighting in the war effort. This poster is historically significant because it is one of the many examples of ways Americans on the home front were forced to ration supplies and services to aid in the wartime effort. Its message drove Americans to act and remains a powerful reminder of the scarcity principle and its ability to influence. The third principle of persuasion is authority. This principle says audiences are much more likely to listen to messages from sources they respect or view as experts. Whether you are explaining your point of view or selling a product or service, showcasing your credentials will help your chances of success. No matter what your message is, it will be better received if it is packaged in a way that makes it seem authoritative. 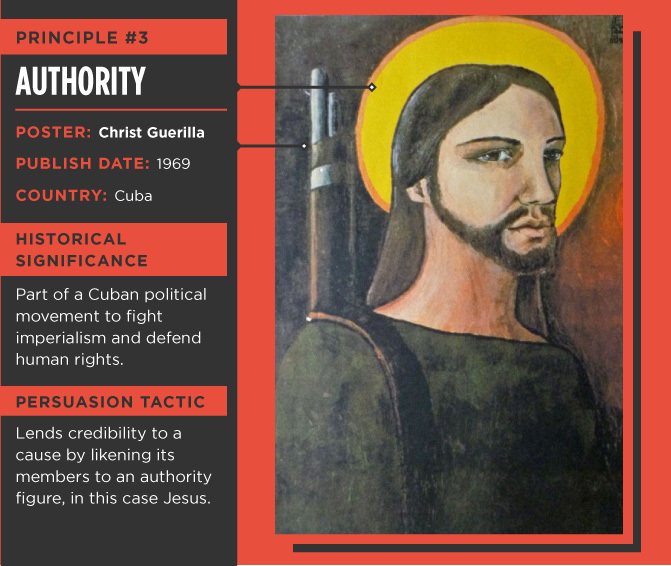 The poster called on the authority behind the Christian religion to convince audiences that being a guerilla fighter was a noble cause. This piece of propaganda was created in Cuba during the 1970s as part of a political movement to fight imperialism and defend human rights. Its message was clear: guerilla fighting was noble, necessary, and moral. Because the poster called upon the authority of Jesus to deliver its message, its theme was especially resonant for its audience. The consistency principle refers to the idea that people like to remain resolute with the things they have said or done in the past. If someone already agrees with some of your message, or if you are able to get your audience to buy into your point of view in a small way, you’re much more likely to convince them to take further action. The “We Can Do It!” poster used the consistency principle to encourage women who were already working in factories to work harder. While today this poster is considered one of the most iconic U.S. propaganda posters of all time, it was not widely circulated during World War II when it first appeared. The poster was made in 1943 by J. Howard Miller for Westinghouse Electric, and was part of a broader effort to encourage both male and female workers to work harder due to the high demand for manufacturing generated by the war effort. The poster resonated with women in its original context in the 1940s and continues to serve as an icon of feminism today. When it was first created, the poster used the consistency principle to remind women of the importance of committing to their factory jobs while encouraging them to work harder and stay motivated. The likeness of Rosie the Riveter still resonates, and the poster has become a rallying cry for recognition of equality. It’s commonly accepted that people are more likely to agree with the opinions of someone they like. The fifth principle of persuasion, liking, is based on this idea. This principle notes that people agree with those who are similar to them, those who pay them compliments, and those who cooperate with them. 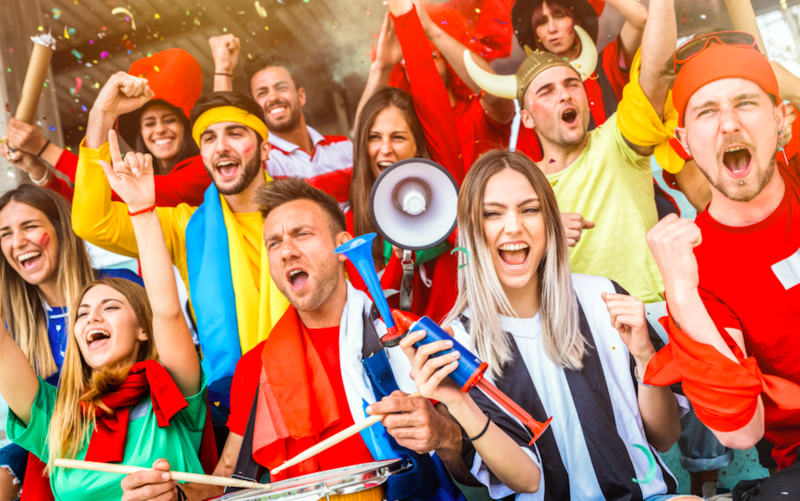 If you know your audience already likes you, you have a leg up for persuasion, but incorporating these three factors into your communication efforts can go a long way towards making your audience receptive to your message. Before making your case, consider spending a few moments with your audience to build rapport and likeability. 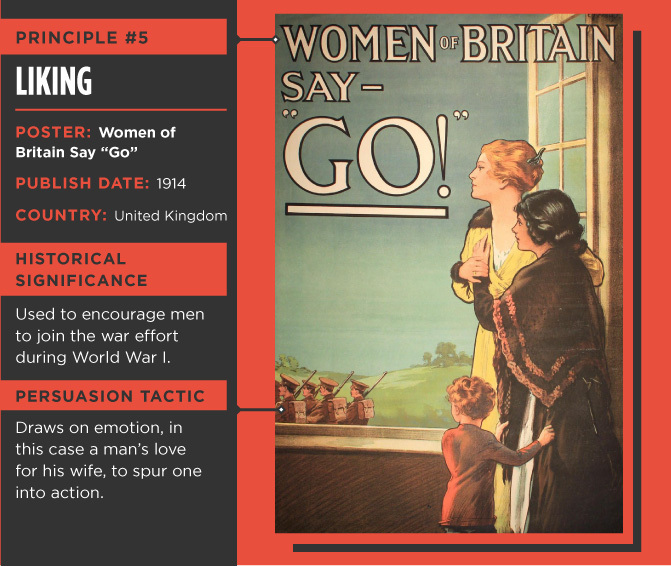 The poster “Women of Britain Say ‘Go’” incorporated the liking tactic to encourage the men of Britain to buy into the government’s request to join the war effort. During World War I, posters were one of the most important mediums for conveying a message. Women were used in these posters to spread ideas of morality, innocence, and justice in the face of danger. While this poster was intended to remind the women of Britain to encourage their men to enlist, it also clearly communicated to British men that they’d be spurned by their loved ones if they refused the call to serve. Using the opinions of their families as advocates proved to be an effective persuasion tactic in getting men to enlist. The sixth principle, consensus, is the idea that people are likely to agree with something if it is in line with what the broader group believes. To get others to believe in your message or your product, point to what those similar to your audience believe and do. When people are unsure of how to act, they look to the behaviors of others they identify with to determine their own beliefs. By highlighting what your audience’s larger social group thinks, you are more likely to get their buy-in. The title of the poster roughly translates to “Let’s Fulfill the Plan of Great Works,” and shows clear parallels to the consensus principle. The tiny hands fill up a larger hand to communicate to the viewer that all of Russia is working together to reach a common goal. The poster was created in 1930 by Gustav Klutsis, a popular poster artist during this time period who was a popular designer for the Soviet government. This piece was created in the Constructivist style, which originated in Russia in 1919. Klutsis was associated with the Communist party and created propaganda art for the organization, especially when the party was under the control of Stalin. The hand in this poster is Klutsis’ own hand, but it was used in the poster to represent the workers who were crucial to achieving the Communist party’s goals. The artist incorporated the faces of the workers directly into the poster’s design so they appeared not as individuals, but as a collective mass united around the same goal. There is a lot of talk these days about Artificial Intelligence, Cognitive Sourcing, Machine Learning, and data-driven procurement. Almost every major procurement organisation in the world talks about how their organisation uses these tools to make decisions. The direction of procurement is almost certainly towards data-driven decision-making. This is a reality we all need to embrace. I certainly subscribe to the notion that the best procurement decisions come from fact-based data-driven strategies and I firmly believe that over time, cognitive tools and technologies will become better and more effective than they are Today. The truth is that we are not there yet. As someone who’s industry is in the cross-hairs of cognitive technologies, I have been exposed to more than a few examples of how this technology works. The category knowledge that these tools will draw from to generate their insights currently resides with guys and gals like me. As such, we (the subject matter experts and category leaders) of the procurement space hold a special and specific set of keys that unlock these technologies. It is with that focus that I would like to proceed. In order for these technologies to work best there are certain fundamental elements that must be right in order for the tool to generate the best insights. 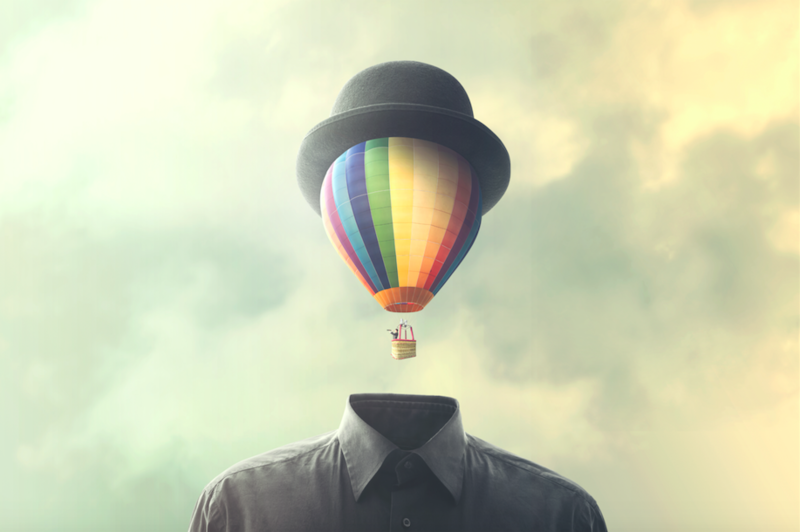 Well organised and structured data is an essential foundation for cognitive technologies. When it comes to any form of data analytics, the old adage “garbage in, garbage out” still holds . Unfortunately, the vast majority of organisations simply have poor data. Before you can point any cognitive tools at your data set, the data needs to be scrubbed and normalised. This is still done manually by a team of people. I’m sure one day this will be 100 per cent automated and perhaps technology will find a way to avoid these errors in the first place. The fact is that whenever we receive data Today, it is highly flawed and requires weeks of work to make it usable. Here is a good primer on data collections. Be sure you allow sufficient time for your data to be cleansed before you deploy your cognitive tools. The greatest value that AI and cognitive will bring is being able to benchmark your organisation in ways never before possible. In a recent article I wrote on how to use bench-marking to develop cost estimates, but cost estimating is not the extent of how you can use bench-marking with AI. Consider the value of bench-marking your organization against a competitor’s current performance. Cognitive tools allow you to bring in publicly available information in real time. Imagine that you are an electronics manufacturer and your closest rival releases their financial report. Cognitive tools can seek out these reports and extract data from them to benchmark against your performance. You can also combine cognitive tools with web crawlers that seek out competitor’s pricing information. Without cognitive tools, this kind of information would require weeks or months of manually collecting data. Cognitive tools allow this kind of analysis to be done instantly. To take advantage of AI, take time to consider all the different ways you can measure your performance and see if you can come up with a few you never thought possible before. All goods and services are affected by market forces. Staying on top of market indices is important for making strategy decisions. An effective cognitive data strategy uses data from market indices. Market Indices will enrich your own data and allow you to forecast into the future. Adding this level of depth to your cognitive platform will reveal the actionable insights that cognitive data promises. The Bureau of Labor Statistics is great resource for all kinds of indices. If you are in construction, there are a number of private organizations that publish various indices to help forecast the future. Look at the AIA, Dodge, and AGCjust to name a few. Add market indices to your data set to enrich your analytics and strategise with forecasting. Cognitive technologies offer beautiful data outputs rich in data and content, on their own these outputs are just eye-candy. The interpretation of that data and content must be made by skilled experienced subject matter experts. Eventually we may get to the point where computers can read the data and a clear strategy will be automatically spit-out for anyone to act on. Even then, how you act on the data will require some expertise. Until such time, you must have your cognitive data interpreted by a human with category expertise. It’s too easy for data to be misinterpreted and for an organisation to run-off in the wrong direction. Even the most advanced Artificial Intelligence we have Today is unable to interpret the various human factors that go into strategy making and for that reason, Subject Matter Experts (SME’s) are still required. Be sure you know that the person who will receive and interpret your data has the skills needed to execute a sound strategy. After all the time and energy you invest in cognitive tools, you need to be sure your direction is sound. 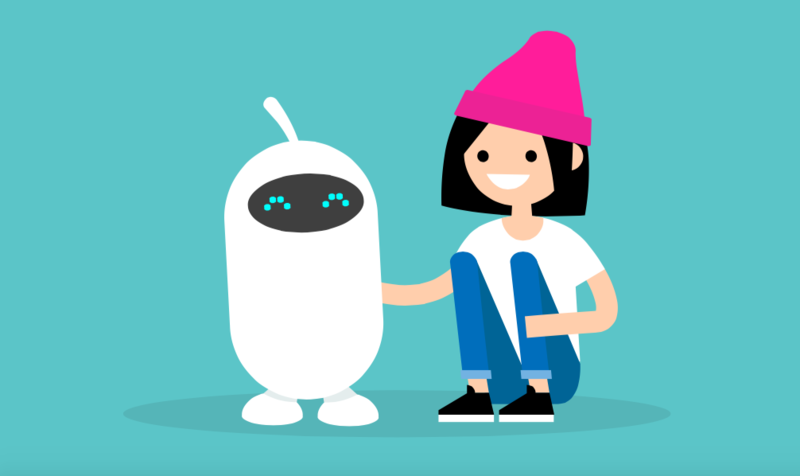 The future of AI and cognitive is bright. We are heading in a great new direction where information will rule. Today there are a few trail-blazers paving the way for us all. Those using these new technologies Today are sure to be better prepared Tomorrow as they find new and creative ways of using data to guide their business decisions. Sign up for next week’s webinar: Clean Up Your Act! Category Management AI-Style. What can Hugh Grant, Will Ferrell and Homer Simpson teach us about ending important relationships in procurement? I’m not the first to draw a parallel between romantic break-ups and ending a relationship with a strategic supplier. The similarities are many: the relationships may have existed for years (decades in some cases), you’ve been through both good times and bad together, and sometimes your two companies are so interwoven that there can be no hope of a clean break. But… all good things must come to an end sooner or later. Without going into the tell-tale signs of when it’s time to let a supplier go (that’s an article in itself), I’d like to concentrate on how not to end a supplier relationship. And – once again – let’s look to Hollywood to provide an illustration for each point. Don’t be like Carley Bobby in Talladega Nights. If you’ve ever been on the receiving end of a shock break-up, it’s incredibly unpleasant for the person who was hitherto living under the assumption that things were going smoothly. Giving your suppliers no hint that the relationship isn’t working is both unfair and unprofessional. Break-up “shock” can be avoided by holding regular and ongoing catch-ups where KPIs are tracked and red flags discussed, along with honest communication about your organisation’s willingness to continue the relationship into the future. Don’t be fake! If you’re deeply unhappy with your supplier’s performance but you’re all smiles and encouragement whenever you meet, it really won’t help the situation as the supplier will see no reason to make changes or improvements. And who knows? If you’re able to have an honest discussion with your supplier about why you won’t be renewing their contract, it may become the catalyst for a change in behaviour that ends up removing the need to break up altogether. Don’t be like Homer Simpson. After it’s revealed that Bart has tricked Edna Krabappel with a series of fake love letters, the Simpson family rally around to compose a final letter that will sensitively end the relationship without further breaking the heart of poor Edna. Homer, unfortunately, just doesn’t get it. Don’t be flippant. Be serious – the decision to change suppliers can potentially impact people’s careers and livelihoods. In the case of small suppliers, it may even bring them to the brink of bankruptcy if your business makes up a high proportion of their income. Make time for a proper conversation. Schedule a face-to-face meeting if possible, or a phone call as the next-best option – but don’t hide behind an email. After Rhett Butler delivers this zinger to Scarlett O’Hara in the closing moments of Gone With The Wind, she collapses sobbing on the stairwell. Scarlett is heartbroken, and clearly needs help – but Rhett has already gone, striding determinedly off into the heavy fog. The equivalent behaviour in procurement would involve calling a supplier to end the relationship, then hanging up without giving them an opportunity to debrief and discuss. It’s entirely possible that the supplier won’t want to talk (and might even hang up on you), but if they do want a discussion you need to make yourself available. To share a story from my FMCG days, I remember sitting next to a procurement colleague who had the unenviable job of ending a relationship with a small supplier over the phone. The call lasted about one and a half hours. After the initial, difficult part of the conversation, the supplier asked her for advice on what they should do next – and that’s when the whole tone of the conversation shifted to that of a positive coaching session. By the end of the call, the supplier was still understandably upset but also armed with plenty of advice for the future. One last thing to keep in mind is that business requirements are cyclical. Although you may not want to work with a particular supplier any more, who knows what the situation will be a few years down the track. If you ended the relationship coldly or otherwise unprofessionally, it’s going to be very difficult to pick up from where you left off. 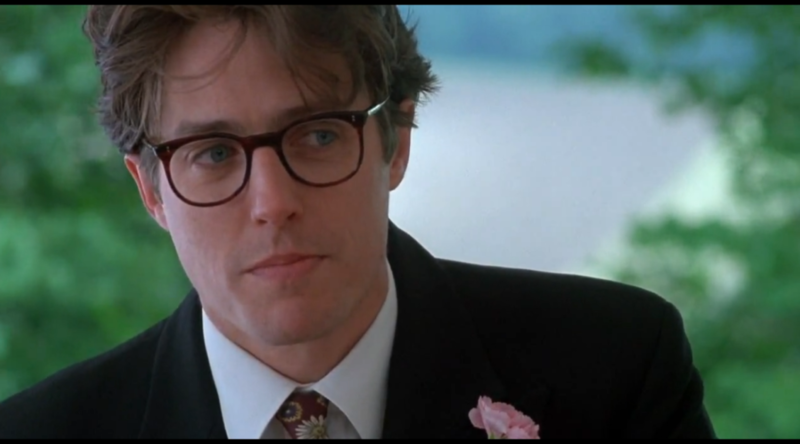 Don’t be like Hugh Grant in Four Weddings and a Funeral. While he ultimately makes the right decision, his shocking timing earns him a much-deserved punch to the face from his jilted bride. In a way this advice contradicts what I wrote above about keeping your suppliers fully informed about how the relationship is going, but you do need to use some common sense when it comes to picking your moment. Suppliers who value a relationship will often go the extra mile, whether this means putting more staff onto a project, or working additional hours without passing those costs on to you. It pays to keep in mind that once a supplier knows they’re soon to be let go, they may not perform with quite so much gusto in those last few weeks or months of the contract. Another parallel to help illustrate this point is when someone in your team is working out the last few weeks of their employment after taking a redundancy – you’re never going to see their best work in that period. Adam Sandler is at his best in this scene from Happy Gilmore where he’s alternately screaming abuse and crooning love songs into his apartment building’s intercom. While he desperately wants to stop his girlfriend leaving, he’s also consumed by a schizophrenic desire to get in the last, angry word. Suppliers want to know where they stand with you and your organisation so they can plan for the future and invest in your relationship with confidence. Again; good communication, honesty and transparency are the way to go. Crystal-clear KPIs will help you clearly delineate where suppliers are performing well, and where they need to improve if they want their contract renewed. The other factor that can muddy the waters of supplier relationships is misalignment within your own organisation. This can involve the supplier receiving contradictory messages from the different parts of your organisation that they work with, pulling them in different directions and ultimately harming their ability to meet your company’s overall requirements. Do you have another example from cinema that illustrates one of the points above? Share a link below! 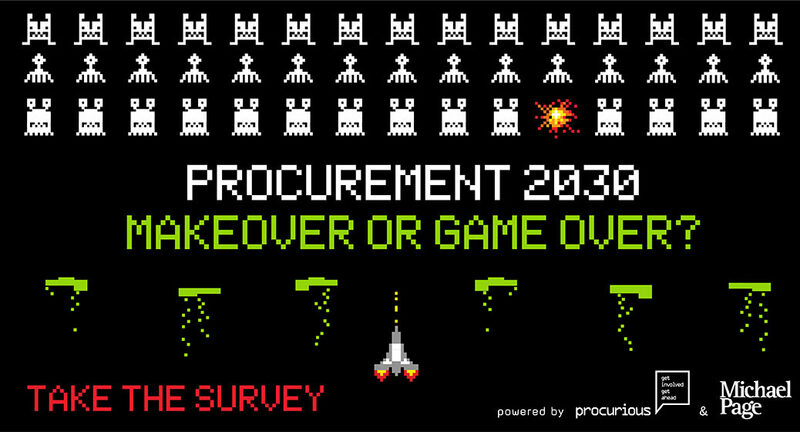 Procurement 2030: Makeover or Game Over? The profession must evolve, but which way will it go? How can procurement give its value offering a makeover, and what are the indispensable human skills that will future-proof procurement careers … before it’s Game Over? Take the survey to help us find out! 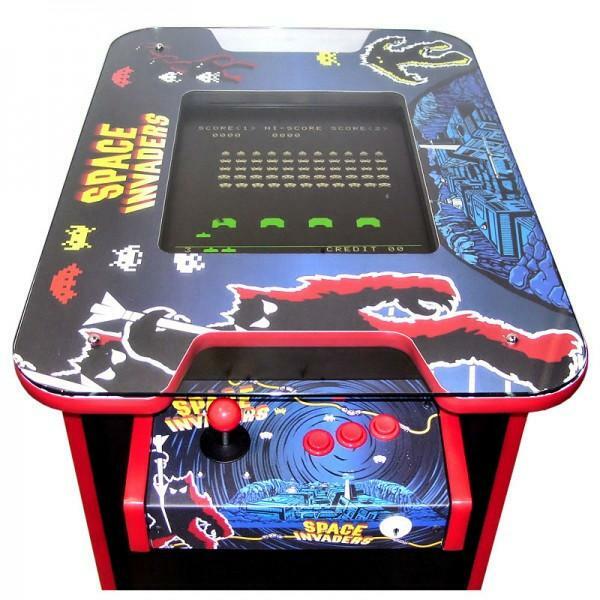 10-15 minutes is all it will take to put yourself in the running to win a retro, cocktail-style arcade machine! 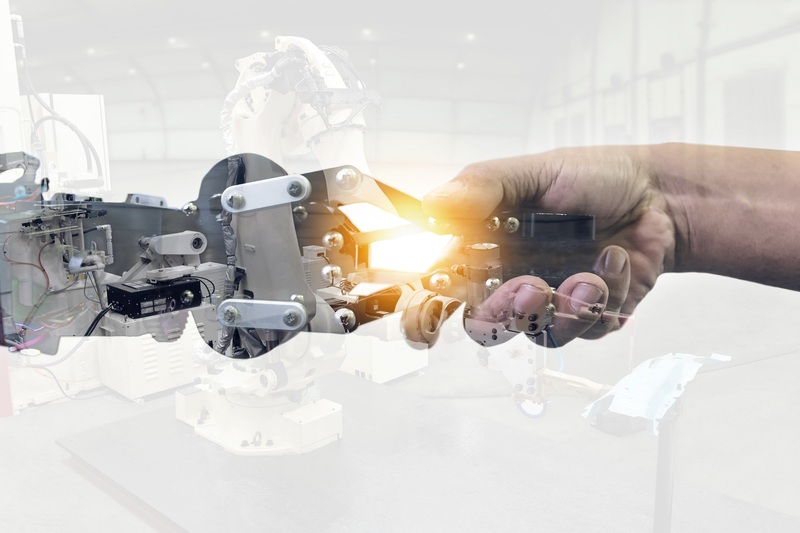 What’s keeping procurement and supply management professionals awake at night as we hurtle towards the brave new world of Industry 4.0? How is your procurement function preparing today for the digital revolution? Which skills are most likely to be automated, and which skills are irreplaceable? What does the future of procurement talent look like? We’ve kept the survey to under 15 minutes – we know you’re busy! Cool prize, right? But you’ve got to be in it to win it! 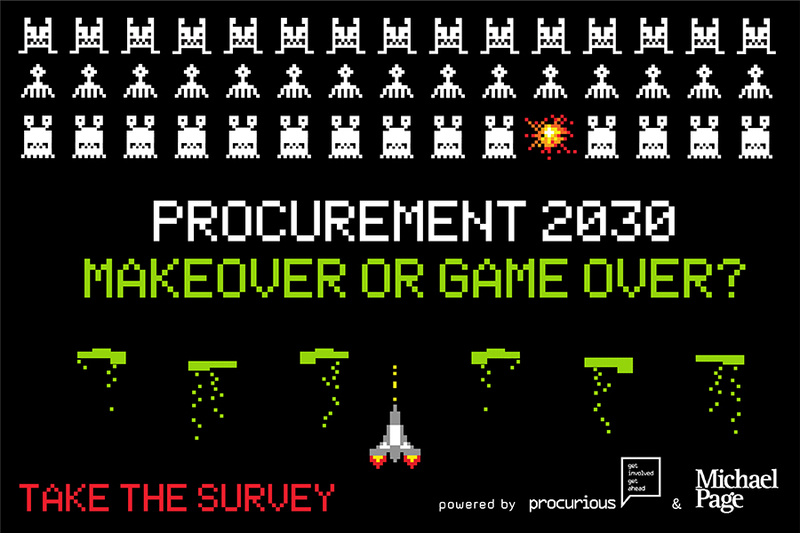 The Procurement 2030: Makeover or Game Over survey is only open until Friday 22nd June. Participants will also receive a copy of the report summarising the findings of the survey.